For each person who feels the duty to respond to Nepal telecom’s routine texts about the Bagmati Cleaning Campaign, of late there appears to be two more who scoff or choose to completely ignore it. One can find past articles and interviews from 2011 and 2012 where authorities boast about being able to “bathe in Bagmati by 2018.” But, here we are. Many of the general public that this scribe talked to around the capital’s streets and malls couldn’t see the point of the campaign, not without a proper deadline in sight. 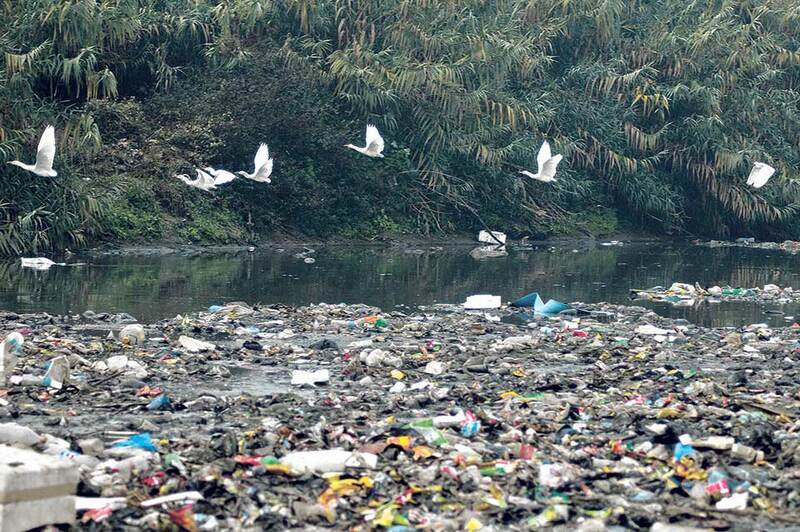 But then again, surprisingly, Saturday morning near the various banks of Bagmati and its tributaries portrayed a different picture.The latest clean-up program had around 400 to 500 volunteers on their main location alone. 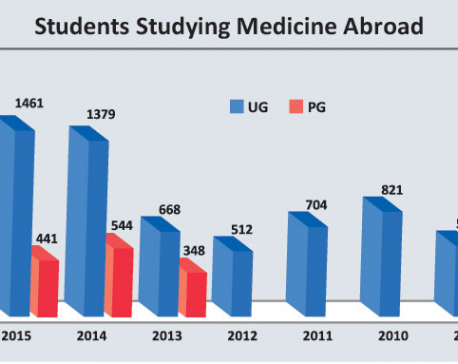 “If we are to add participants from sister campaigns in the likes of Rudramati and Bishnumati, the total roundup will easily reach a thousand,” says Dr Raju Adhikari, one of the initiators of the campaign. The juxtaposition of these two facts has been the story of the Bagmati Cleaning Campaign for a while now. It’s running on its sixth year and is being touted as arguably the most renowned campaign of our country. However, it continues to fall short of meeting its goal. Even, Dr Adhikari appears to see no end in sight. When asked how long he expects to be cleaning the river banks, he replies, “as long as it will take.” It’s apparent that it’s a fate that the campaigners have resigned to. 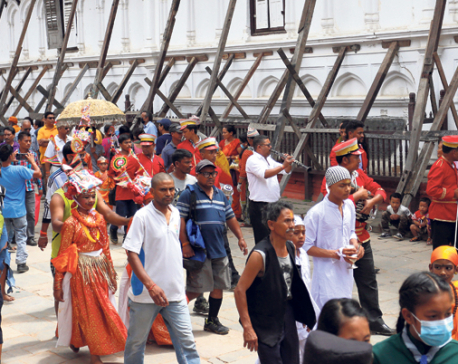 In his four years of involvement with the campaign, Hem Raj Karki also doesn’t deny the disappointments. “The situation sometimes can be overwhelming. I have tried to reason with officials at Singha Durbar. Four years isn’t a joke. Governments and countries change in that time period and our officials haven’t been able to clean a river,” he says. But together they also list the small victories. They talk about how the river that had almost dried up around some parts of our town is flowing again. They ask us to note how we don’t have to grimace anymore because of the awful smell around the likes of Pashupati and Thapathali area. 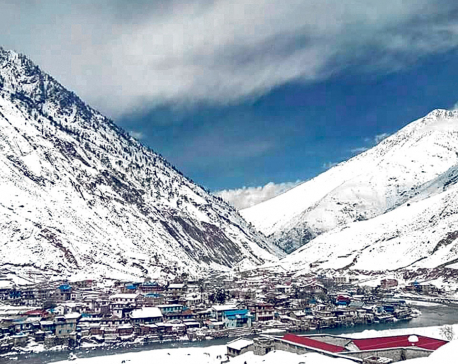 They refer to the 800,000 people that the campaign has been able to bring together so far and the 12,000 metric tons of waste that was recently collected from Bagmati. 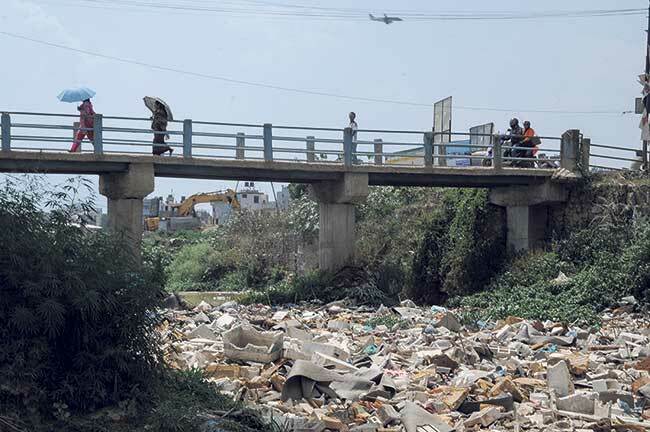 Karki actually confesses to being one of the culprits as well, regularly throwing waste from his house on the river banks on his way to office. He also adds that initially he wasn’t keen on getting his hand too dirty either. But all that apparently changed when he witnessed former chief secretary, Leela Mani Paudyal, the leader of the campaign, getting involved. “He was the chief secretary and he was regularly waddling into waist deep polluted water during cleaning sessions,” he recalls and says that he believes the reason people like him continue to volunteer for the campaign is very simple. It’s about the sense of purpose and satisfaction that they get after helping out. Kishore Singh Shahi, a civil engineer and another volunteer, also states that he is familiar with these kinds of jabs. However, he continues to clarify that they are merely the public’s representatives, volunteering in the campaign, to help carry out a project that was originally started by the government. One can often spot him on Saturday clean up sessions trying to motivate participants with short bursts of speeches. He is the one in charge of the mike. He personally believes that the participation of locals residing near the river bank areas hasn’t been satisfactory so he tries to call out to as many people as possible and urges them to come out of their homes. While this is his role on the weekend, the other times it’s about keeping constant tabs of the government’s actions regarding the cleanup campaign. Shahi shares that he and other volunteers have been advocating the use of new equipment and technology especially since a new budget has been recently granted for the Bagmati project. 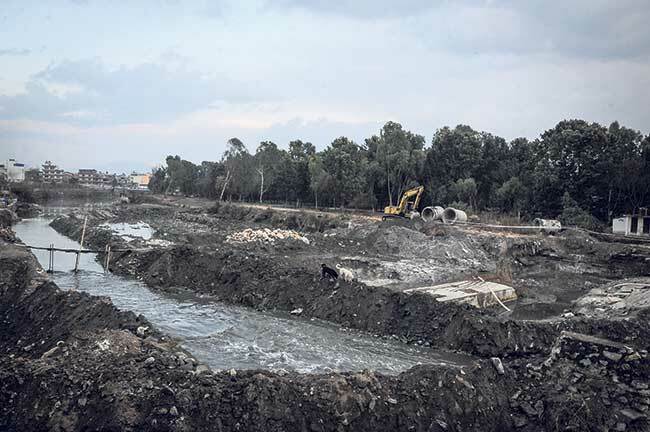 Over at the High Powered Committee for Integrated Development of the Bagmati Civilization, executive chairman, Narendra Raj Basnet, who is also the government’s representative for the Bagmati project, says he has seriously been considering the suggestions and acting on it too. As it happens, he has been in the post for only three months now and he says he is trying to grasp the situation and tackle the problems. While volunteers like Karki and Shahi want definite deadlines for issues like sewage redirection and resettlement plans, Basnet states that isn’t a possibility yet. However, he has recently given authority to responsible groups around the river bank areas to fine those caught polluting the surroundings. He hopes this will help create a sense of responsibility in them. Basnet is actually the 11th Chief of High Powered Committee for Integrated Development of the Bagmati Civilization but when asked why 10 of his other predecessors couldn’t reach the clean Bagmati goal, he chose not to comment. But he did ask for continued public support and participation for quicker results.